More about Marimekko Kaksi Raitta White / Black Guest Towel This Marimekko towel is as lovely to look at as it is to wash up or dry off with. 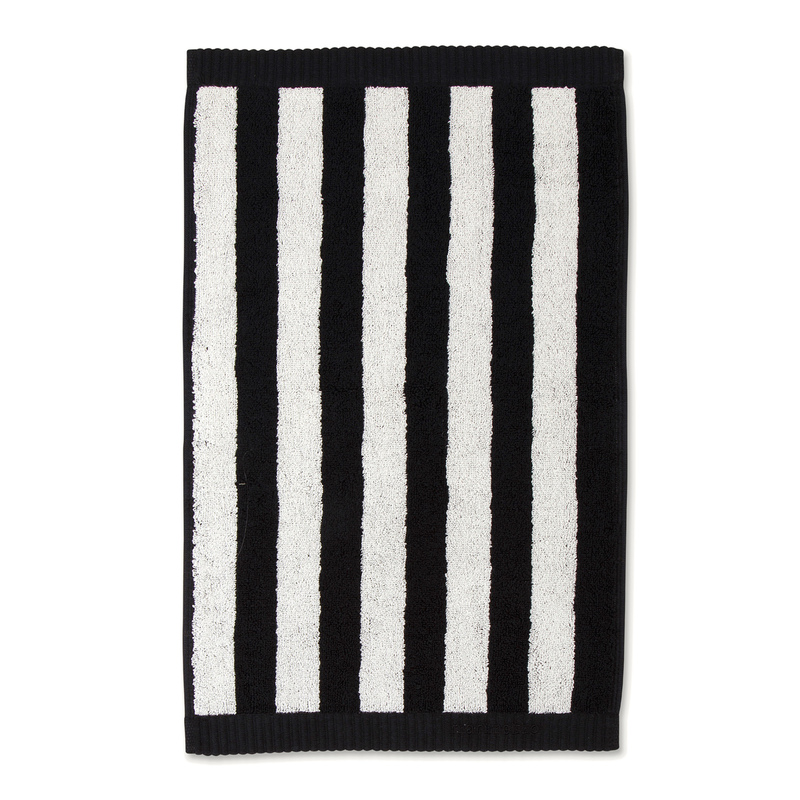 Maija Isola's iconic stripes stretch across the guest towel; one side in the wide Nimikko stripe and the reverse side in the thin Ujo stripe. Made from 100% cotton, the soft and lightweight towel is quick-drying and highly absorbent. 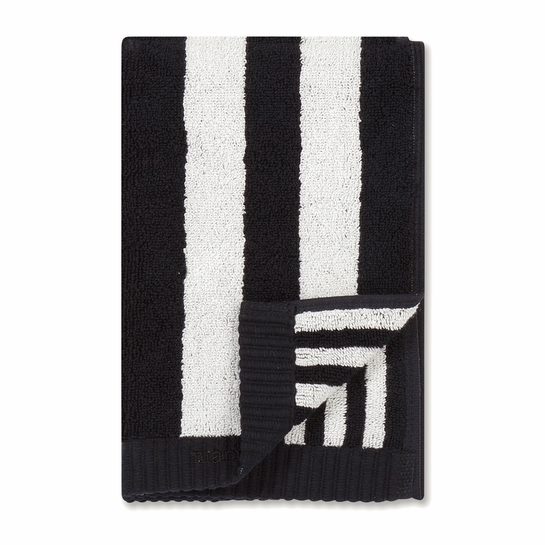 A classic black and white stripe can be combined with any other colors or prints for an eclectic collection of bath linens.